Prior to joining Paramount Business Development, Jenny lived in the Philadelphia area working as a Purchasing Assistant at a major online Health and Wellness company where she assisted buyers with projects focused on cost reduction and gross profits. She also assisted the Merchandising and Purchasing Director on a daily basis in order to manage over 2,000 manufacturers and about 35,000 products. Jenny has also worked as a Marketing Coordinator where her duties included printing and promoting marketing information in accordance with scheduled events at the resort she worked at, as well as maintaining the monthly events calendars for the whole property. 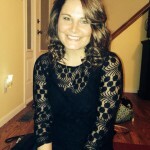 Jenny has a strong passion for reading and writing and originally studied English at Shippensburg University before deciding to switch her major to Marketing and eventually graduating in 2010 with a Bachelors Degree. She is highly organized, able to multi-task and a genuine people person. Jenny grew up in Stroudsburg with her mother, father, and two sisters and has since moved back to the area where she lives with her husband, Mike. In her spare time she loves to relax with her family and friends. Some of Jenny’s favorite hobbies include reading, cooking, and spending time outdoors.